I got up at sunrise, made some breakfast while I waited for the night’s condensation to dry off the tent before packing it and rode up to the cinema again in time for the 10am showing. Most museums have displays and information in French, English and German, which might be a problem if you do not speak or at least understand a bit of any of the three languages. There is a lot to see and learn, and it is a shame to miss most of it because of the language barrier. That is why a visit to the 360º cinema in Arromanches is highly recommended. As the name indicates, it is a circular room with no seats (you have to stand to be able to keep turning around to see all the screens) and a film is projected on a series of screens surrounding you. It is a 100% visual experience, with the most extensive collection of period films I have ever seen and very good graphic explanations of the landings. As there are no recorded explanations, this is a perfect visit for those who do not speak any of those three languages. After the film I went down into Arromanches again to visit the museum there, which focuses on the Mulberry Harbour. I had already mentioned it two posts ago, but since I learned a lot about it with the visit to this museum, I had decided to save the full explanation for this post. The Nazis had invaded most of Europe, and in the west what they had not was neutral, on their side, or not directly connected to the continent, which meant that conquering it from their hands would mean moving troops by sea. A harbour was needed to offload the enormous number of troops needed for such operation, but the Nazis were not stupid, and knowing this they had built what is known as the Atlantic Wall, a line of fortifications from the south of France to the north of Norway which initially focused on defending harbours, but in 1943 were expanded to cover all the coastline. 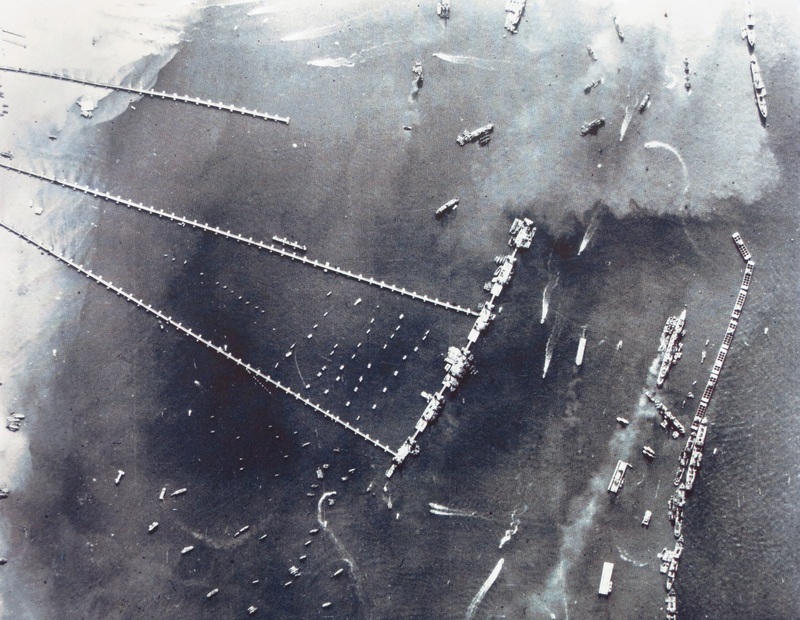 The allies needed to take control of a harbour to invade France, and with that idea in mind, a raid was planned that would test whether it was possible to seize and hold a major harbour for a short period of time. The chosen location was Dieppe, and a raid was launched by mostly Canadian troops in August 1943. 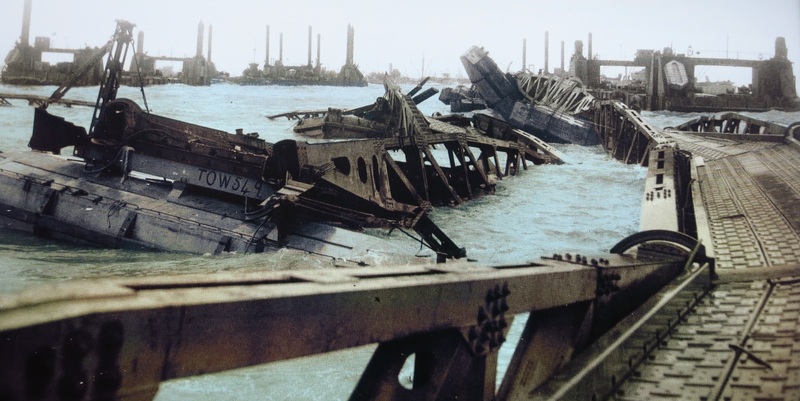 It was a complete disaster – the allied forces failed to take the port and more than half of the men were lost, either as casualties or prisoners of war. This made the allies realise that it would not be possible to seize Le Havre or Cherbourg and the plans for Neptune, the D-day landings, were started. If a harbour could not be taken, the war would start from the beaches. But what to do once the Atlantic wall was breached? An army that size needed lots of supplies – food, ammunition, medical supplies, fuel, vehicles, weapons, and a very long etcetera. For the first wave of the invasion, this meant between 8,000 and 12,000 tonnes per day, later on these numbers would grow by between 1,000 and 2,000 extra tonnes per day. The only way to get all of those to France was to build a harbour, but that would take too long. As an example, the port of Douvres, with a surface of 310 ha, could unload 6,000 tonnes and 1,250 vehicles per day, a similar capacity to what was needed, but it took seven years to build it! Because time was of essence, instead of building one, the allies built not one, but two in Britain and took them across the Channel. Two whole harbours. Made of concrete. Nothing like it had been done before, and such a feat has not been replicated ever since. One: An initial floating breakwater, made of pieces known as Bombardons, was the first line of protection against the waves. This consisted of floating steel structures with a cross section, each 60 metres long and 8 metres high, anchored to the seabed at a depth of 20 metres and tethered to each other at a distance of 15 metres. 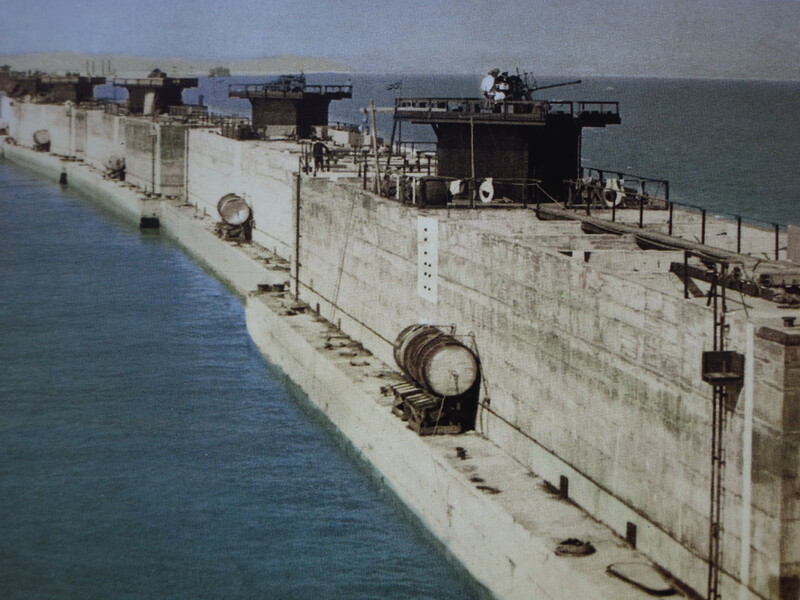 Two: Behind this initial line and closer to the coast, there was a breakwater, known as Gooseberries, to protect the landing area from the waves, built using old ships that reached their destination under their own power or were towed and then partially sunk to form a structure in combination with concrete blocks. These were built in all five landing beaches, not only those with harbours, to help the landing of amphibious craft and flat-bottomed craft that landed directly on the beach. The most important part of this structure were the concrete blocks, called Phoenix, enormous reinforced caissons that were built by several different companies in Britain. 212 were made of different sizes depending on the location where they were going to be sunk – the biggest were 60 metres longs, 17 wide and 18 high, weighing 6,044 tonnes. 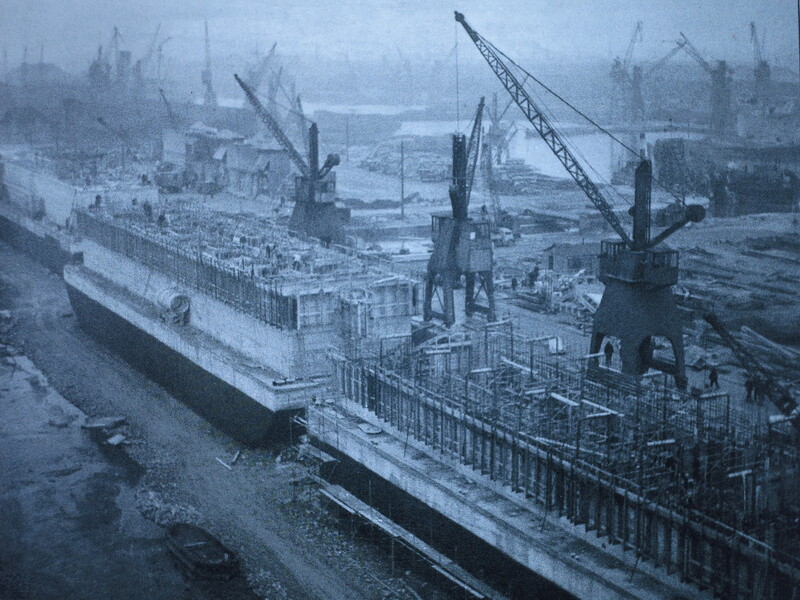 Special docks were dug in the river Thames to finish them, since all the shipyards in the country were already working at full capacity building the landing craft. Once built, these huge structures were assembled in ports in the south of England and sunk below the surface to hide them from the Germans. When the time came, they were refloated and towed across the channel by two powerful tug boats each at a painfully slow speed of 4 knots. 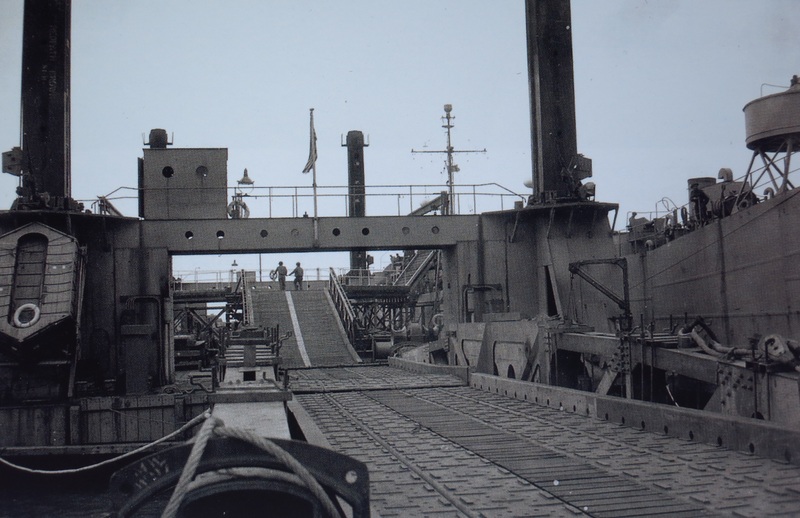 As they were empty, divided into compartments, they were also used to carry supplies during the crossing, and many of them had a tower with an anti-aircraft Bofors gun to protect them while travelling and to act as a permanent defence to the harbour once in place. When they reached their intended position the crew, which had been travelling inside them, would open a series of valves and flood them, sinking them onto the seabed one by one and thus creating a harbour. Three: Floating docks called Loebnitz docks, which were steel and concrete pontoons with four square pillars on their corners. Once in position, the 30-metre high, 40-tonne steel pillars were released, anchoring themselves onto the seabed. A system of pulleys ensured smooth vertical movement of the dock with the tides, meaning that now ships were not dependant on tides anymore and could dock at all times. Each pontoon had 18 rooms inside for storage and accommodation of the crew. To increase the harbour capacity, floating concrete pontoons were placed between the Loebnitz docks. Four: The piers that connected the docks to the beach, which were made of 24-metre long units called Whale that attached to form a floating road that ended on the part of the beach where the tide did not reach. 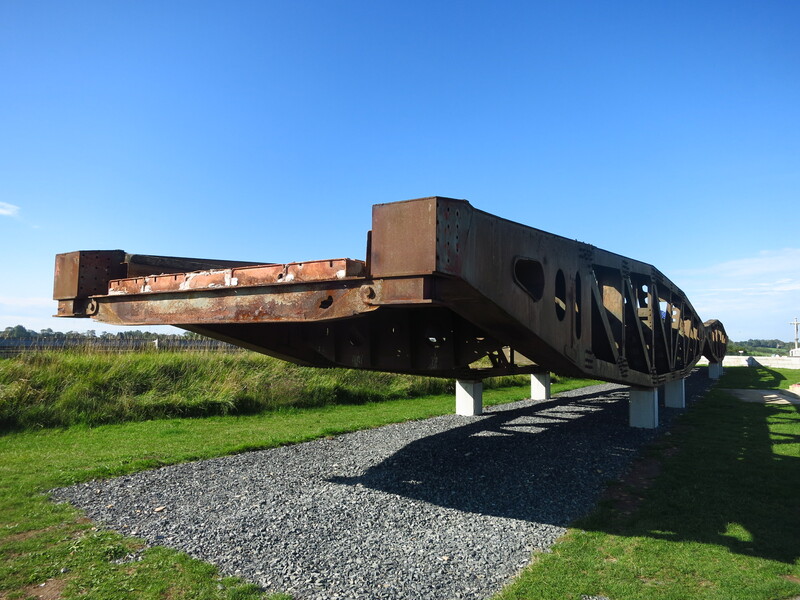 These sections were mounted on floats that were supposed to be made of steel, but due to a shortage of this material, many of them were made of concrete. The road was designed to float up and down with the tide, the sections closer to the beach resting on the sand at low tide, and to be torsional, meaning that they could move with tide currents in a controlled fashion but without breaking. 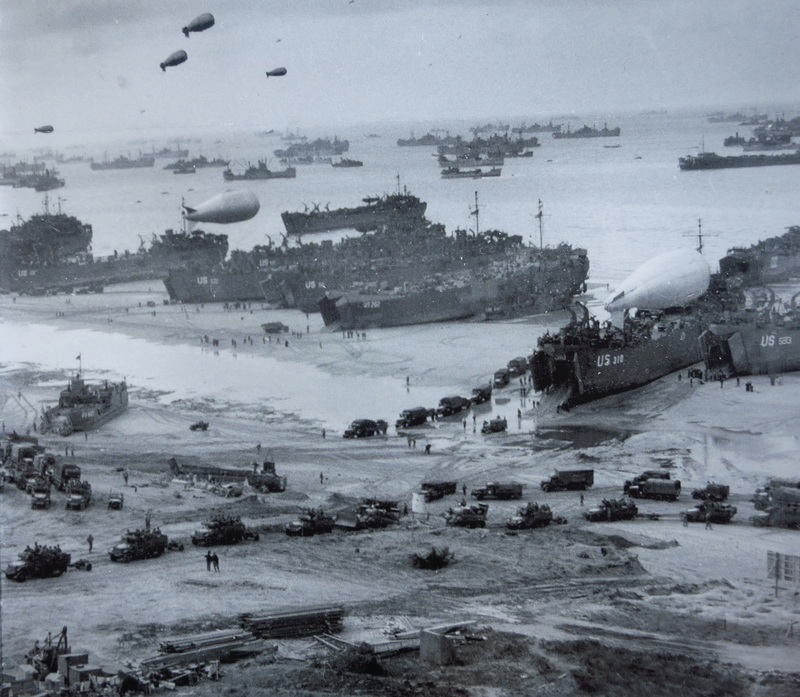 The two harbours were built in Gold and Omaha beach, and were partially operational only three days after D-day. The one at Omaha beach was destroyed by one of the fiercest storms that Normandy had seen in decades, leaving only Mulberry B in Gold operational. 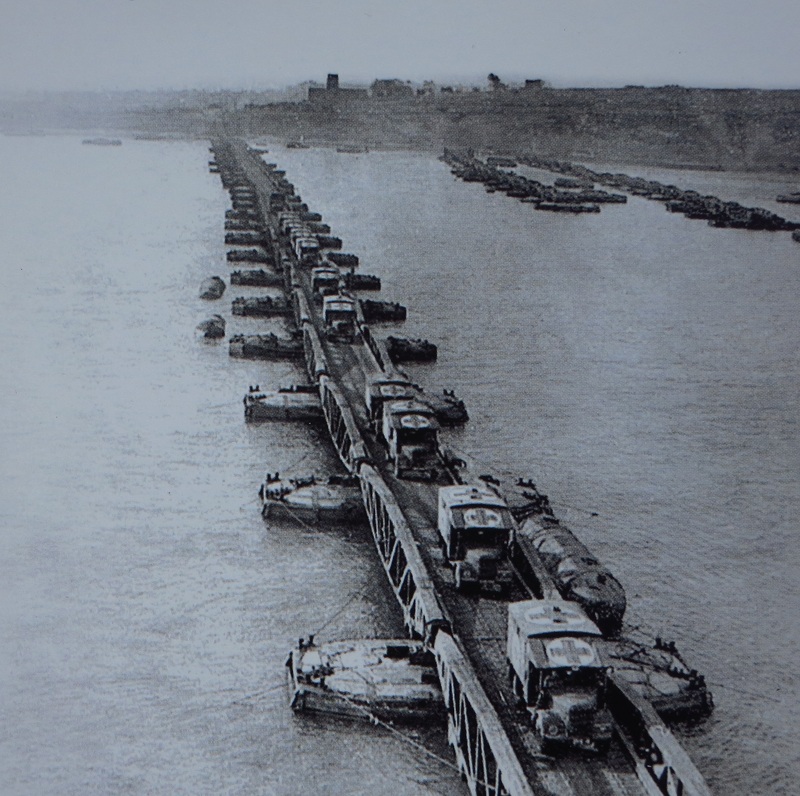 It had been designed to last only for 80 days in summer, but in 10 months two and a half million men, half a million vehicles and 4 million tons of supplies reached France thanks to it. It is considered one of the most important feats of military engineering ever. 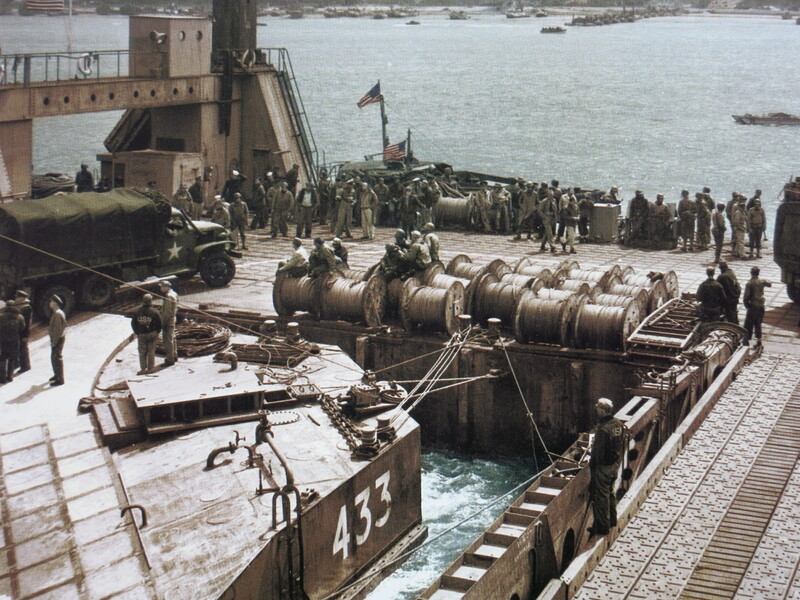 The taking of important ports such as Cherbourg, Brest, Antwerpen or Le Havre together with the damage that the heavy traffic had done to the roads around Arromanches meant that by Christmas 1944, the dismantling of the harbour, named Port Winston after Winston Churchill, began. The remains of some of the Phoenix caissons can still be found at Arromanches, the best place to see them is the hill overlooking the town, where the 360º cinema is located. I rode up after visiting the museum – from there I could get a good view of the arc that the breakwater had formed. At the car park, two of the whales could be seen. 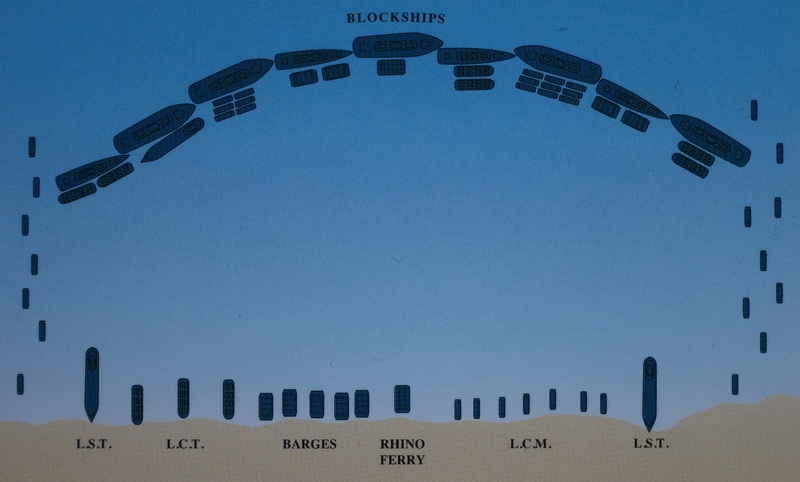 Apparently, once the harbour was not in use anymore, these whales were taken away and used to replace destroyed bridges everywhere, and some can still be seen in place today. 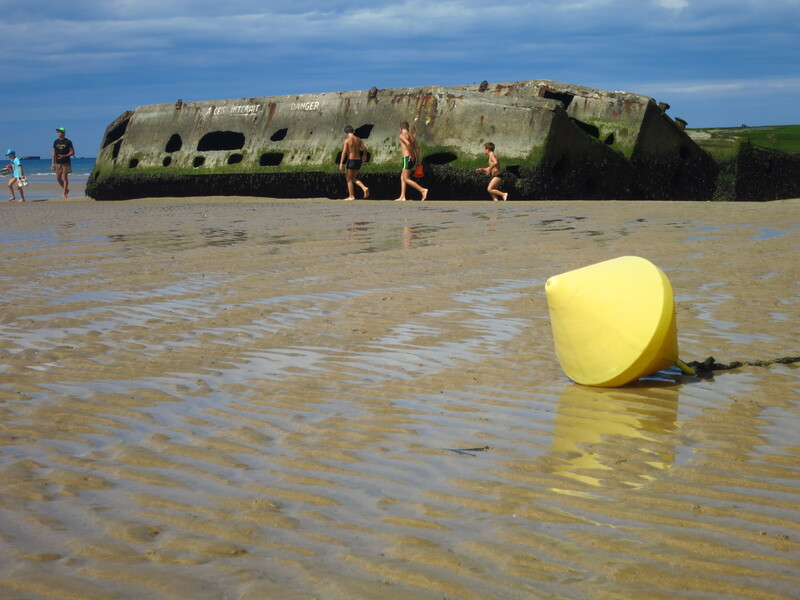 The tide was ebbing, so I rode down to Arromanches once again to take a walk on the beach and get closer the only structures left that are accessible in the low tide – a few of the concrete floats that supported the whales, left on the beach as spare parts. It was already lunchtime, so I rode up to the cinema again, had something to eat there with a beautiful view of the sea and then rode straight to Caen to spend the rest of the afternoon at the Caen Memorial Museum. Word of warning – if you plan to visit this museum, do it with plenty of time. At 19€ for a full ticket (no discounts for a working, able-bodied, white male in his mid-30s…) it might seem expensive, but it is a huge museum. It starts with an overview of Europe before WWI, the events that triggered that war, how it changed the map of Europe and how it was pivotal in starting WWII, there is a full explanation of WWII and of the specifics of Operation Overlord, and a whole third section dedicated to post-war Europe and the Cold War. It is extensive, very exhaustive and it takes a lot of time to visit. There is also a bunker where the German army had the command post for the region, and the American, Canadian and British gardens. (Except for the last two ones, all pictures in this post are taken from the book Arromaches, histoire d’un port from OREP Editions). This entry was posted in Normandy 2015, Travel and tagged Arromanches, D-day, Gold Beach, Mulberry Harbour, Normandy by Kilian. Bookmark the permalink.